Fabulous updated home conveniently located. 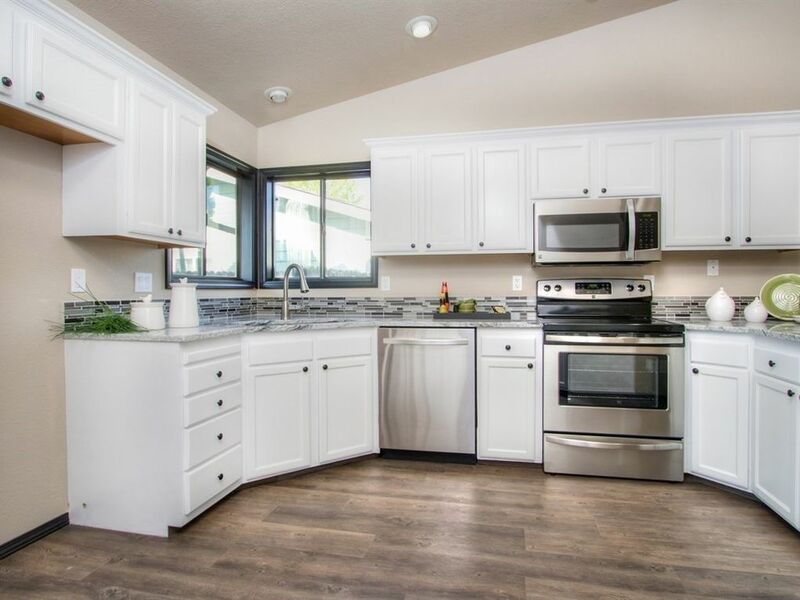 NEW: roof; interior & exterior paint; water heater; light & plumbing fixtures; waterproof engineered hardwood flooring; carpet; granite & quartz counters; stainless steel appliances; door hardware; kitchen cabinet doors & knobs; gas logs & controller in the stone fireplace!! You will love the private, covered patio off the beautiful master suite. Enjoy extra parking for small RV or boat & concrete curbing for easy mowing!